The undetected fall - Patent my French! 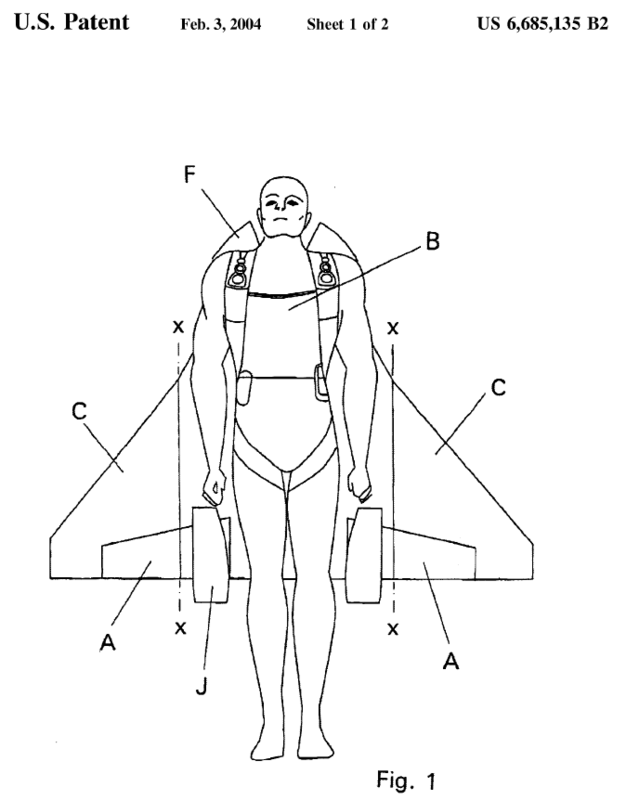 Today’s patent is directed to a method for detecting a person’s fall. Such a method has utility in for instance taking care of elderly people. However, in this case, I am afraid that at least one fall went undetected, namely the court’s own fall into the trap of so-called “patent substitution”. Taking one step back, the case was brought by a certain Laurent M. against his employer Telecom Design. As a side note, it is the INPI’s (French patent office’s) practice to redact people’s names in the court rulings that they publish. Although the need to protect privacy is understandable, this sometimes makes decisions more difficult to read. Besides, oftentimes, these people’s names are available on the public record anyway. For instance, Laurent M. is a designated inventor in a patent identified in the decision, and it is somewhat difficult to miss his full name on the patent’s front page. Anyway, Laurent M. was hired in February 2008 by Telecom Design. Info Network Systems (INS), Telecom Design’s mother company, filed a French patent application directed to a method for detecting a person’s fall on January 12, 2009. One year later, the same company filed a European patent application claiming the priority of the French patent application. Laurent M. was designated as an inventor on both applications, together with two managers of the company. Laurent M filed suit against Telecom Design and INS in front of the Paris Tribunal de grande instance (TGI), claiming that he was the sole inventor of this invention, and that he had made the invention before joining Telecom Design. Thus, he claimed, the French IP belonged to him. Laurent M. won in first instance, since the court acknowledged that he was the sole inventor, and ordered the transfer of the French IP to him. Telecom Design and INS appealed. During the appeal proceedings, Laurent M. requested that the European patent (which had been granted in the meantime) should also be transferred to him. Insofar as a French patent covers an invention for which a European patent was granted to a same inventor or his successor in title with the same filing date or priority date, the French patent ceases to be in force either at the date at which the time limit for filing an opposition to the European patent expires without any opposition being filed, or at the date at which the opposition proceedings are closed, the European patent being maintained. The court applied this test to the Telecom Design invention and concluded that the European patent had substituted for the French patent, so that the French patent had ceased to be in force on July 19, 2012 (i.e. at the end of the EPO opposition period). However, this finding is problematic for at least two reasons. The first reason is that, believe it or not, there was no French patent at all. Looking at the INPI file wrapper, the application never proceeded to grant. The application was declared lapsed on September 30, 2013 for failure to pay the fifth renewal fee. It seems that a request for restoration of rights was submitted and rejected by the INPI – but it is not possible to get more detailed information online. Article L. 614-13 is quite clear in that substitution can only apply to a granted national patent and not to a national patent application. This makes sense since the claims are not necessarily in a final form until the patent is effectively granted (although in France the opportunities for an applicant to amend claims are more restricted than at the EPO). I am not sure that the court is to blame for what seems like a serious mistake. Indeed, French courts are strictly bound by the submissions of the parties, and we do not know in this case whether either party submitted that the French patent application had not proceeded to grant, and drew the proper legal consequences from this fact. The second reason why the court’s finding is in my opinion problematic is that they applied the above “substitution test” differently from traditional case law. According to said traditional case law, substitution takes place only to the extent that the scope of protection afforded by both patents is identical. So, if the French patent has a broader scope of protection than the European patent, which is actually very frequent, then the French patent partly survives, with respect to the subject-matter not covered by the European patent. This view is supported by the wording “insofar as a French patent covers an invention for which a European patent was granted […]” in Article L.614-13. In Telecom Design, the Cour d’appel seems to have changed its tune. The priority French patent application contains thirteen claims in total: twelve to a method for detecting a fall, and one to a device for detecting a fall. The European patent contains ten claims: nine method claims, and one device claim. […] claim 1 of the European patent is the contraction of claims 1 to 4 of the French patent [sic]. […] it is true that claim 3 of the French patent [sic] […] is not expressly contained in claim 1 of the European patent, but nevertheless it is implicitly included in its scope due to the interpretation of this claim which must be made by reference to paragraph  of the description, which expressly mentions it. It is reminded that according to Article 84 [EPC], claims define the protected subject-matter and must be supported by the description. This is a bold statement. INS clearly voluntarily drafted a main European claim without the features of French claim 3. Stating that these features are implicitly contained in the main European claim in spite is a daring and non-obvious conclusion which would require at least some detailed explanations as to why the description makes it so clear that the missing features are implicitly present. A fall can never be fully prevented, but at least it can be made more enjoyable. […] the French patent [sic] and the European patent relate to exactly the same invention […]. […] although [claim 10 in the European patent] does not expressly contain the reference to the notion of battery life of the detection device in claim 13 of the French patent [sic], said reference is also implicitly included in its scope by the interpretation that needs to be made in view of paragraphs  to  of the description which expressly mention it. Is this an isolated decision, or does it mean that the identity of invention (for the purpose of patent substitution) should now be appraised globally – basically checking only if the respective descriptions are the same? Maybe the Cour de cassation will shed some light on this, if a cassation appeal has been filed – which I do not know. By the way, for those readers who are interested in the final outcome for Mr. M. and his employer, Mr. M. was indeed confirmed by the Cour d’appel as the sole inventor of the invention at stake. But the court decided that the invention was made in the course of Mr. M.’s inventive mission with his employer. So, the first instance decision was reversed and the court did not order the transfer of either of the French application or the European patent from INS to him. He was however awarded an amount of 50,000 euros as a retribution for his invention, and 20,000 euros of damages in relation to moral prejudice. CASE REFERENCE: Cour d’appel de Paris, pôle 5, 1ère chambre, June 30, 2015, Telecom Design SA & Info Network Systems SA v. Laurent M., RG No. 2013/10097. Are any of the judges of the TGI or the CA de Paris going to be judges at the UPC? If yes, we are not at the end of our surprise…….